I want to discuss a subject that in my opinion is getting far too little attention in epoxy flooring literature. Back rolling is the technique of going back after an epoxy floor coating has been applied and using a roller to make the final finish of the surface look uniform. When applying thin coats we tend to use paint rollers for this purpose while with self levelling or higher build coats we tend to use spiked rollers. In this article I focus on the first case: Back rolling thin epoxy coats. I have across instances where floors were not back rolled at all and many problems show up in the future. Below are some examples of floors with back rolling problems. Here is an extreme example of how poorly back rolled floor ended up picking up much more dirt than expected. 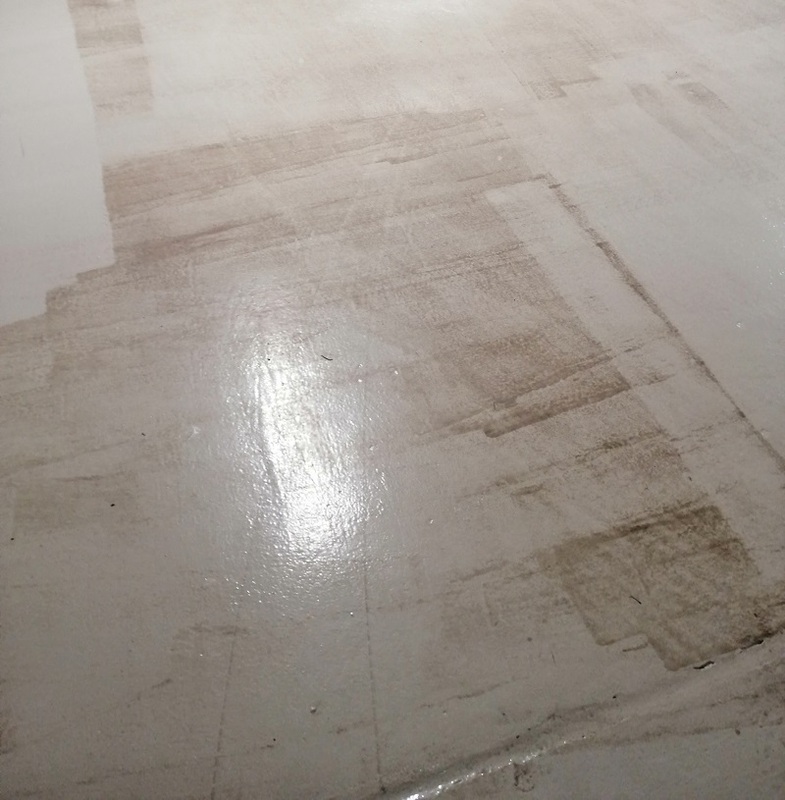 Just like a painter inspects his wall after painting, floor applicators need to do the same with their floor. Special care needs to be taken with various angles of light that hit the floor. 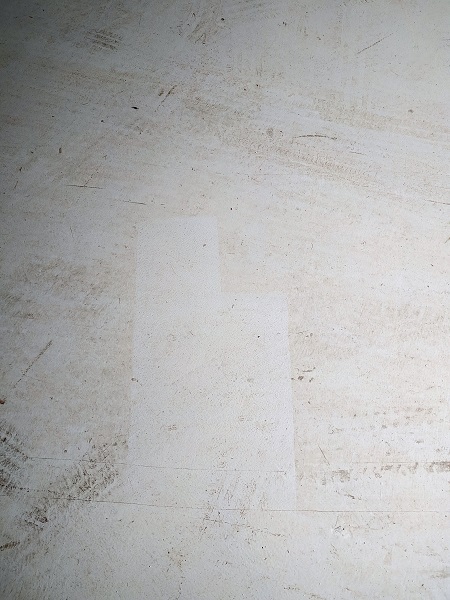 I have come across cases where a roller mark was not visible on the floor, and after the lights were switched off and the light came through the window, the reflection was very visible! You have probably heard me preach the importance of proper epoxy mixing and the consequences if the curing is not properly achieved. When applying a thin coat the risk of improper curing is amplified since the quantity of epoxy on the floor is quite small. Thus despite rigorous mixing, you may end up having parts of the floor that never got enough hardener component to cure. By back rolling the product on the floor you are basically increasing the chances of the B -component going everywhere. In fact you want to consider back-rolling during that curing window (usually the 30-60 minute time frame) when the epoxy has started curing but is still workable. Back rolling should be done with spiked shoes, so that the applicator has access to all areas of the floor. He needs to see the floor from various different lighting angles. I also recommend a medium thickness paint roller for this job. I find that short nap rollers are not very good at picking up and uniformly distributing the epoxy. You also want to use a wide roller for this job since this reduces the work and gives a better finish. However be cautious with those really wide rollers on the market (like the 50 cm or 20 inch plus rollers). Although those rollers can produce great finishes they have two disadvantages: First if the surface is not compeletely flat, the roller will not spread the product evenly. Second these rollers tend to get very heavy as they pick up more and product. Finally I want to hear your thoughts. Are there any specific tricks or techniques you use when back rolling? What are your experiences?